Flipkart India being biggest online store in India have started a sale on top selling DSLR's starting at a price of Rs.19,990. Shopping cameras online is the best possible way to buy cameras, since online stores like Flipkart offers thousands of cameras to choose from, we can also compare camera prices, features. In the last 1 year due to increase in usage of camera in India DSLR price have been reduced and models increased in flipkart seller store. 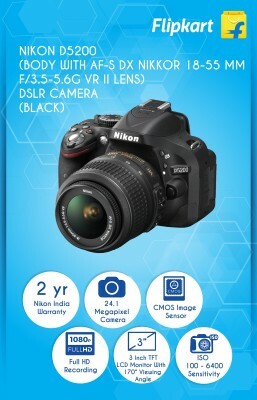 Flipkart offers various top brands DSLR cameras like Canon, Sony and Nikon. The price ranges from Rs.15,000 to Rs.50,000 and above. Flipkart coupons and coupons code are not needed for this sale. On all the cameras and accessories you get extra 10% off with SBI bank credit and debit cards (T&C apply). Here are the top 5 DSLR cameras that any photography lover would like to have with them. The cameras price range is between Rs.19,000 to Rs.35,000. With 10% Extra cash back on using SBI credit and debit cards this is the best chance to grab these cameras. 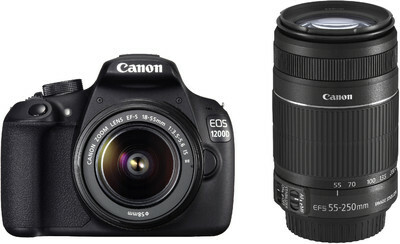 Canon EOS 1200D is one of the best mid-range DSLR camera at a price of Rs.23,990 at Flipkart. Get Extra 10% cashback on using SBI cards. 3 inch TFT LCD Screen. f/3.5 - f/5.6 aperture setting. 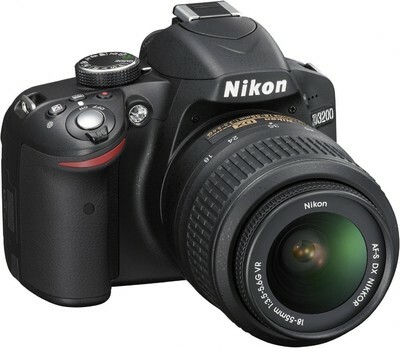 Nikon D3200 DSLR Camera is a mid-range DSLR camera from Nikon. The price is just Rs.19,990 which is very cheap. The camera is rated as best Budget DSLR Camera in 2015 by users. So grab this camera at a very low price at Flipkart. ISO 100 - ISO 6400 Sensitivity. 35 mm Equivalent Focal Length: 27 - 82.5 mm. 4 FPS Fast Continuous Shoot. 3-inch LCD Display with 160 DegreesViewing Angle. 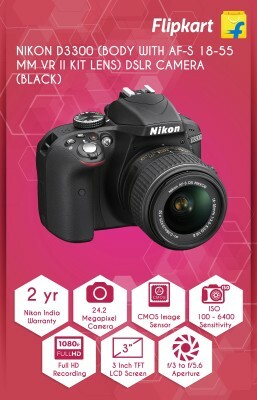 Nikon D5200 DSLR Camera is a featured DSLR model priced at just Rs.25,399 at Flipkart. Get 8GB SD Card and Bag for free, also get extra cash back on using SBI bank credit and debit cards. 3 inch TFT LCD Monitor with 170° Viewing Angle. 5 FPS Fast Continuous Shoot. 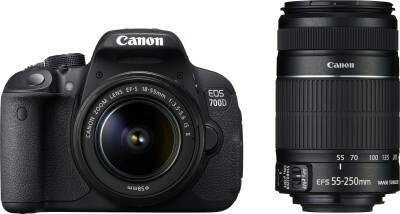 The Canon EOS 700D offers a solid basic performance for all pro DSLR photographers. It delivers high quality images, has various functions and allows you to take high resolution movies. The price of this DSLR is just is just Rs.35,454. On this camera get 2 Years Canon India Warranty and Free Transit Insurance. ISO 100 - 6400 (Auto). 3 inch TFT Color Liquid-crystal Monitor. Nikon D3300 is a featured camera from Nikon and priced at Rs.23,990. Get 8GB SD Card and Bag for free with this camera. This camera is rated 4.5/5 by user ratings. ISO 200 - ISO 6400 Sensitivity. Also see Fitbit Blaze Smart watch with multiple sizes here.